We make septic maintenance and repairs easier with riser installation in Polk City, FL. 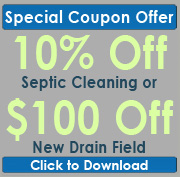 You should schedule regular septic tank maintenance about every three years. When it is time for a maintenance call, there is a good chance that our technician from Southeastern Septic LLC will have to dig up your yard in order to access the tank’s lid. You can avoid this issue by installing a septic riser. Risers extend the length of the tank so the lid is either right below or right above the ground. If you want to keep your yard beautiful and cut down on the time required for maintenance and repairs, schedule an appointment for riser installation today. We understand that everyone has different needs, which is why we offer various options for each riser installation. First, you can choose the type of material you want for your riser. Choose between PVC, polyethylene, and concrete. PVC is often the best option because it does not leak, but we can also discuss the other materials with you if you want to save some money on the installation. In addition, you can decide whether you want to have the riser installation occur above or below the ground. Most of our customers choose below the ground. Even though we will have to take off the top layer of dirt to access the tank during maintenance, this is not an issue for most people. If you want to have it above the ground, make sure it will not get in the way of your lawn care. If it doesn’t, then putting it above ground is a viable option. Contact us today to schedule your riser installation in Polk City, FL. With our team by your side, the installation will be completed in no time. Southeastern Septic offers quality Riser Installation services in Polk City, Lakeland, Mulberry, Zephyrhills, Bartow, Polk County, Winter Haven, Plant City, and Auburndale.